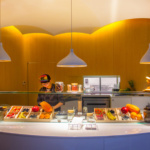 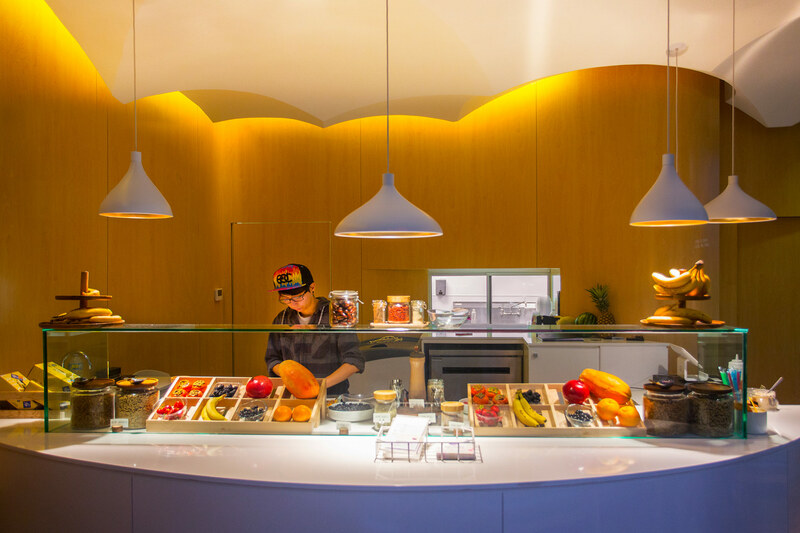 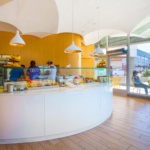 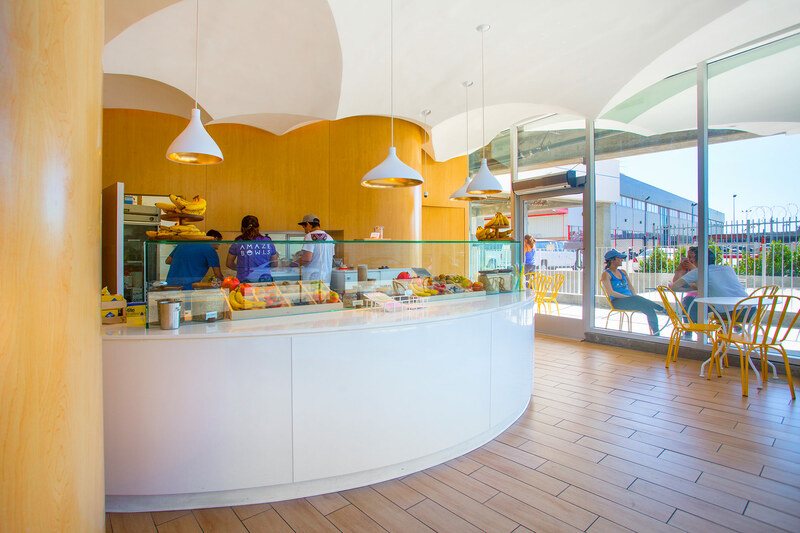 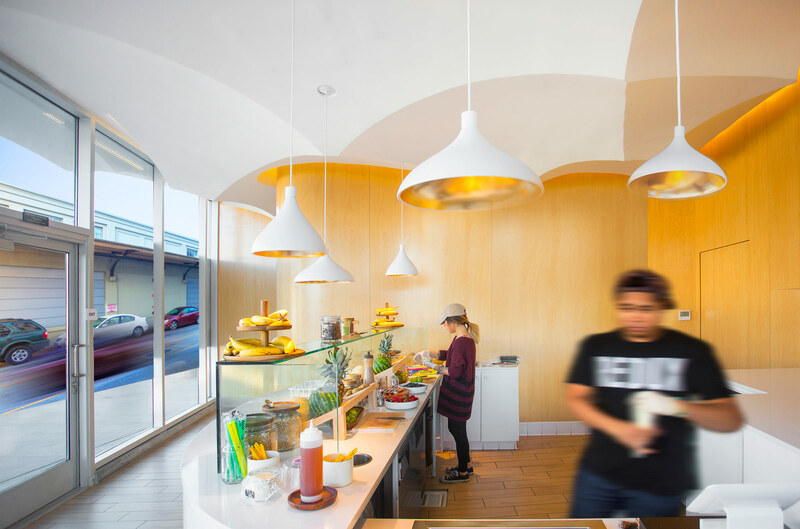 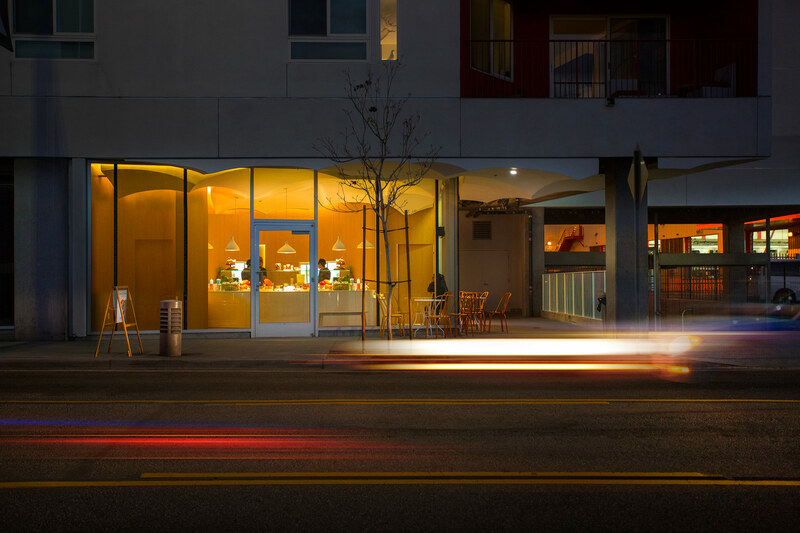 Amazebowls, a casual health food chain that began as a food truck, recently opened its first brick-and-mortar storefront in Michael Maltzan Architecture’s (MMA) One Santa Fe building in Los Angeles. 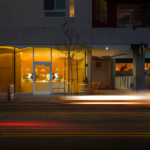 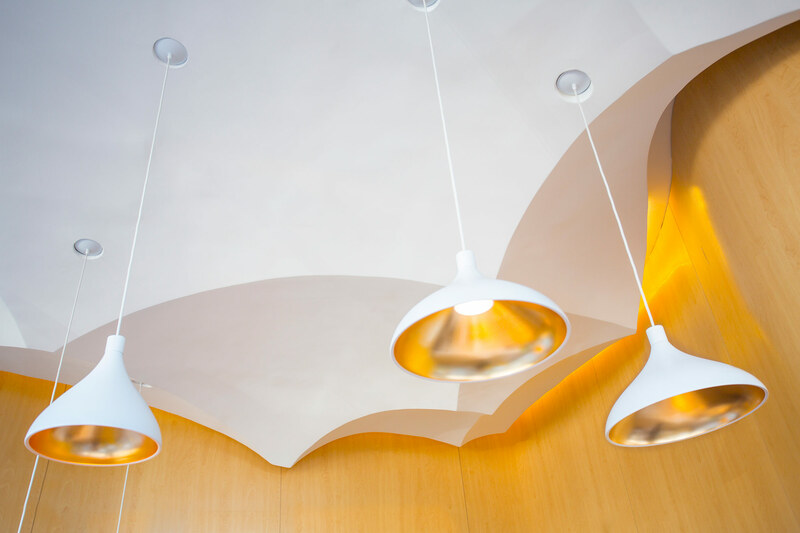 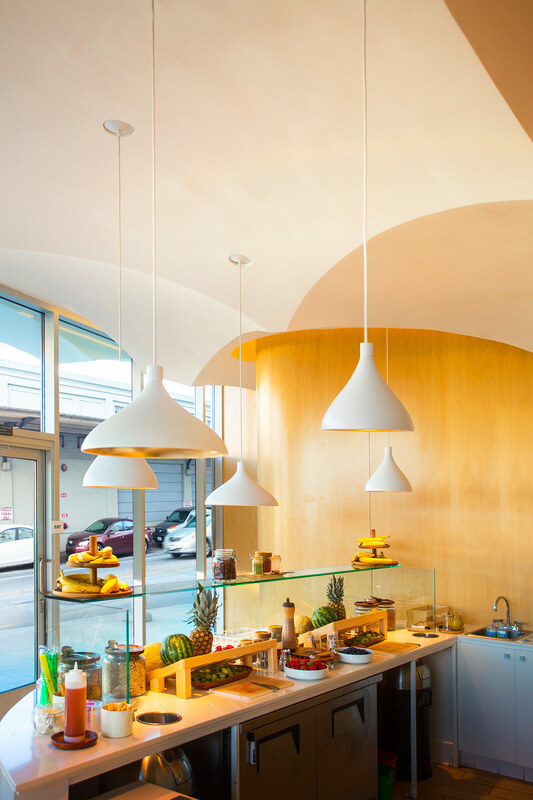 For the 600-square-foot storefront, 64North drew inspiration from traditional architectural forms, namely masonry vaulting. 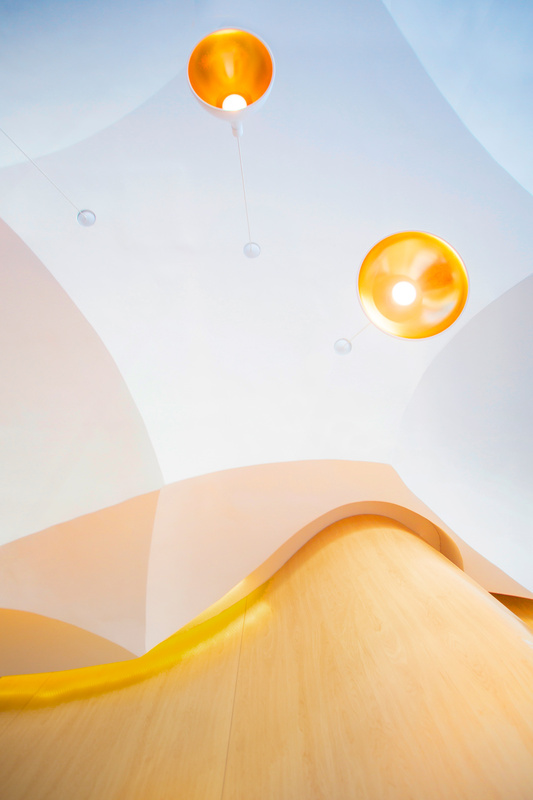 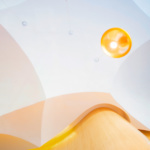 Carson explained that the project “recalls the classic form of a series of domes, assembled here in a celebratory, contemporary way, as they are individually scaled and distorted, intersecting to create a non-uniform whole.” The designers filled the store with a few key elements, including a sculptural ceiling made of CNC-milled, high-density EPS foam that has been plastered over, a sinuous, maple wood panel accent wall, and a semi-circular stone counter lit by gold-painted Pablo Swell pendant lights. 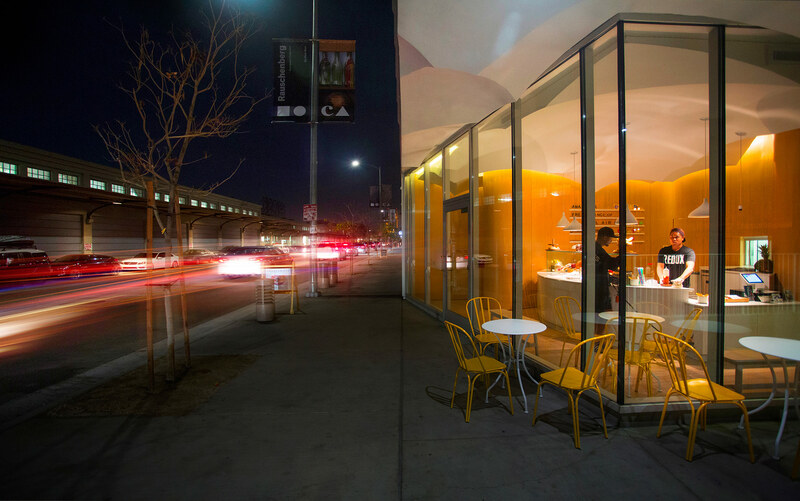 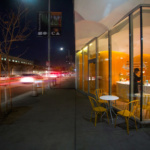 The lofted ceiling extends beyond the curtain wall glazing along Santa Fe Avenue to denote a small exterior seating area located beneath an extended overhang.